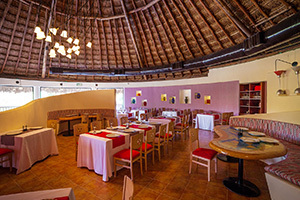 * For guests with the Standard Package, there is a $6 USD surcharge, per person, for dinner at Sabor Latino. 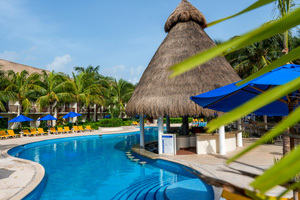 ** WiFi is NOT included if a guest did NOT book direct, there is a cost of $15 USD per day and $7 USD per day if contracted for the complete stay. WiFi is available for up to three devices with the same password. 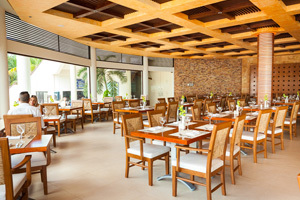 Our newest dining venue borrows on the oldest Japanese culinary traditions, with Teppanyaki tables and Shabu-Shabu tables. Showmen chefs and cook-your-own options add an interactive element to the dining experience, ensuring that guests fully enjoy traditional Japanese dishes and drinks in a unique setting. 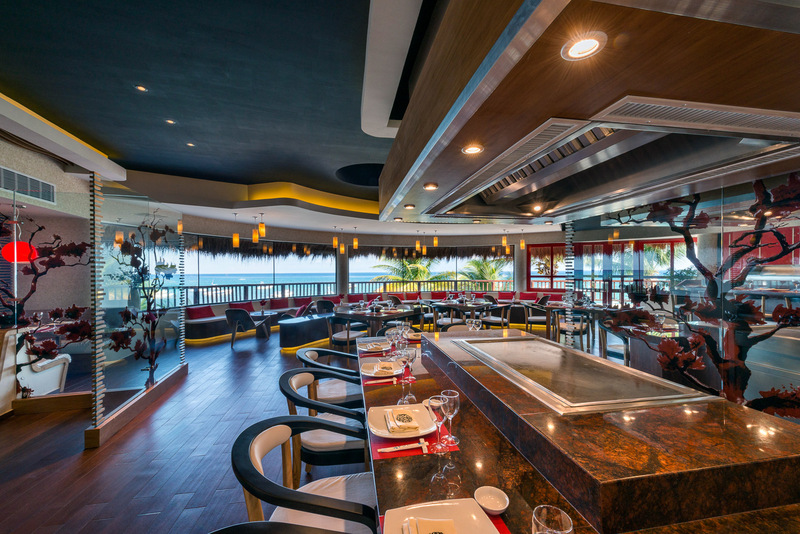 Whether guests choose the Teppanyaki or Shabu-Shabu table, their dining experience begins with freshly prepared sushi and concludes with the dessert of their choice. 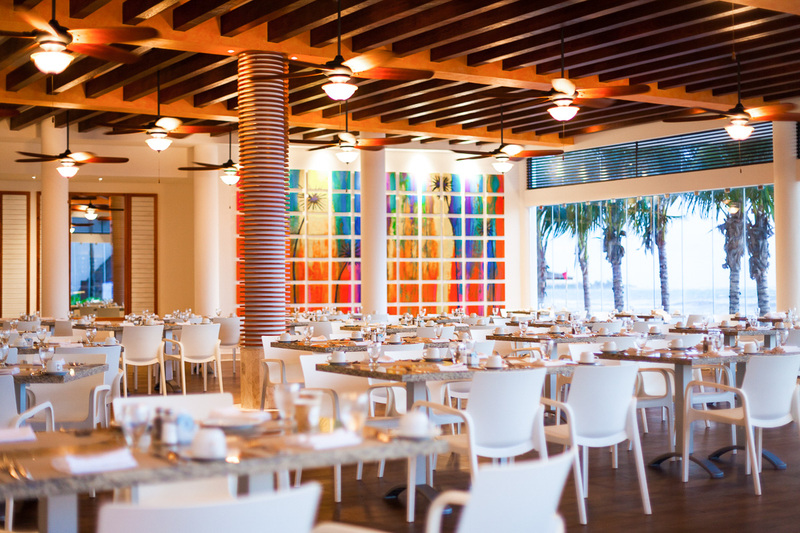 A supplemental fee of $25 pp applies; an additional $5 supplement applies for shrimp or lobster. 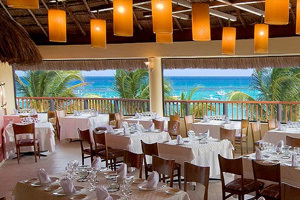 Newly remodeled, overlooking the Caribbean, our main buffet restaurant serves breakfast, lunch and dinner. Dress code: Not allowed to be wet, without a shirt or barefoot. 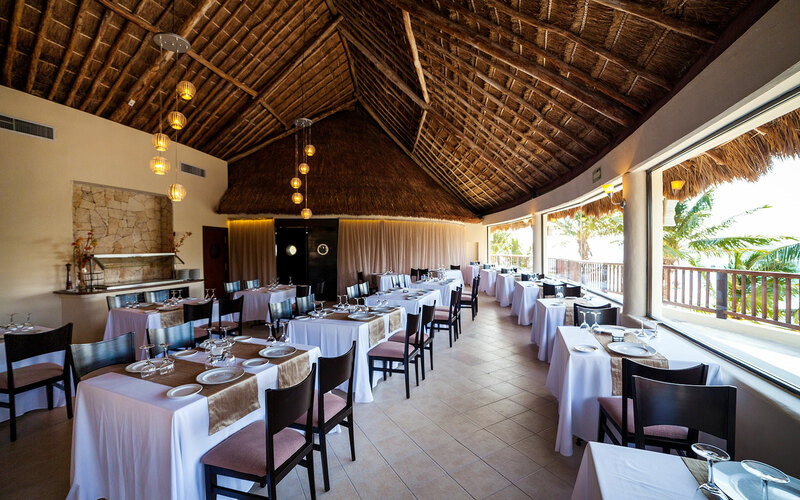 This elegant restaurant serves an a la carte menu inspired by the culinary traditions of Mexico. $6 surcharge (free with superior and premium package). Dress code: Not allowed to wear sandals, pool clothes, hats or shirts without sleeves. 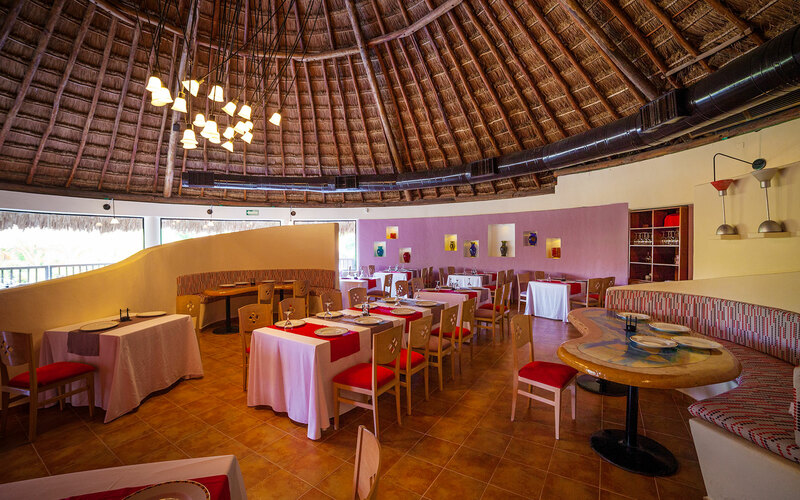 A romantic restaurant with views of Cozumel, Rosinella serves Italian specialties with a tropical twist. 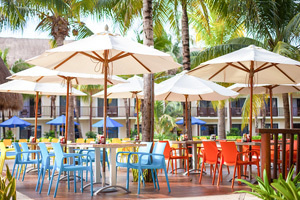 Whether you’re sipping a frosty tropical cocktail at the swim-up pool bar or savoring a night cap in the Lobby Bar, The Reef’s sociable bartenders charm guests with their top-notch service and skill. 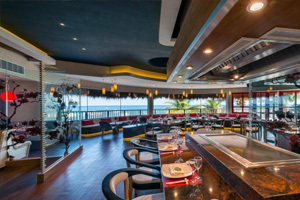 Our newest and most exclusive bar, luxurious Bar & Mar pairs a beachfront location with music, A/C & flat screens available and premium-branded cocktails. Access with your Premium level accommodations or purchase a Premium Bracelet. *Surcharge for standard and superior package. 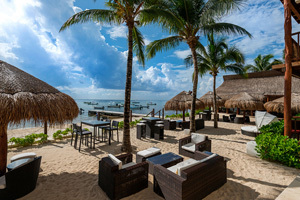 Our thatched-roof swim-up pool bar serves a thirst-quenching array of cocktails, beer and non-alcoholic beverages. 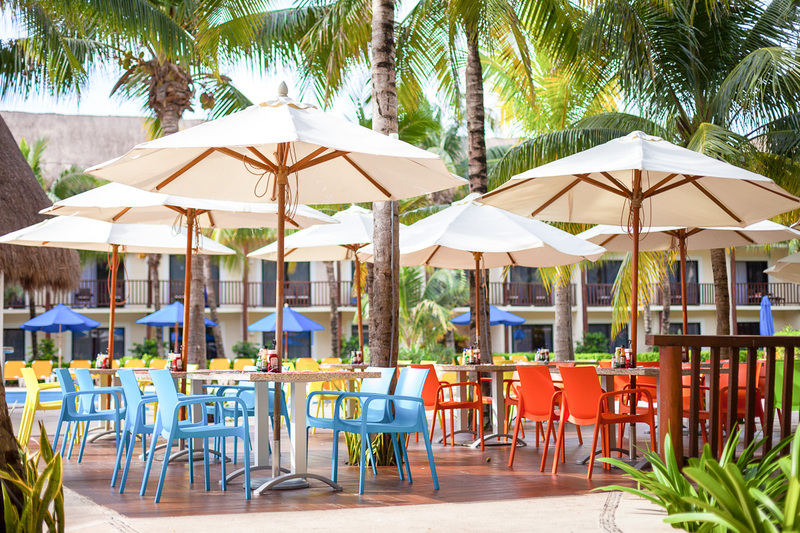 This relaxing and remodeled poolside spot serves drinks and snacks. 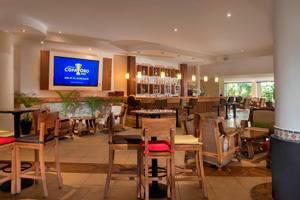 Stop by the delightfully tranquil Tabaco & Ron for big band tunes and evening cocktails.